For over 50 years, the Isle of Eight Flags Shrimp Festival on Amelia Island has drawn crowds and delighted locals and visitors alike. Live music, local food vendors, and endless entertainment set the scene for a vibrant couple of days each May. Read on to learn more about the festival. 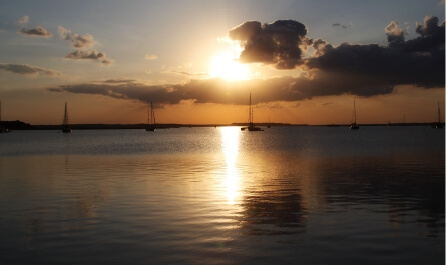 Then, be sure to check out our Vacation Guide for more events, restaurants, and activities to include in your Fernandina Beach itinerary! Whether you’re an adventurous foodie looking to sample all the best shrimp dishes or an art enthusiast hoping to pick up works by local artists, you’re in for a real treat! Fernandina Beach’s Isle of Eight Flags represents the many countries that had possession over the island throughout history! The flags include the French flag (1562), the Spanish Flag (1573), the English Flag (1763), the Spanish Flag (1783), the Patriot Flag (1812), the Mexican Rebel Flag (1816), the Confederate Flag (1861), and then the United States Flag (1862). Tap your toes along to local music as bands and musicians perform live throughout the festival! There’s no better way to set the mood for an exciting event such as this one. The food is definitely what the festival is all about. No commercial vendors are allowed, so all of the food vendors are local businesses that prepare their favorite shrimp dishes for all to enjoy! Each year, the festival kicks off with an exciting parade. Local businesses, clubs, schools, churches, and other organizations design floats and curate performances to entertain the festival’s attendees. Admire beautiful works of art created by local artists at the Fine Arts and Crafts Show! It’s the perfect spot to find one-of-a-kind gifts and unique souvenirs! From handmade jewelry and gorgeous seascapes on canvas to pottery and sculptures, you’re bound to find something that catches your eye! Contests, Pageants, Decorated Shrimp Boats, and More! Participate in various events such as pirate contests, beard contests, pageants, shrimp boat-decorating and more! The festival even hosts a “Shrimp Run” for those up for a 5K run/walk. Whatever your interests may be, chances are there’s something at the festival that appeals to your tastes! 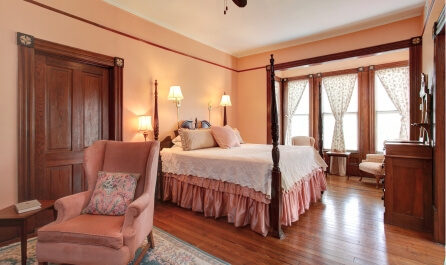 Stay in the heart of Downtown Fernandina Beach at Fairbanks House! 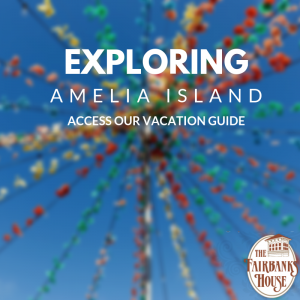 The central location of our property puts visitors within walking distance of all the best things to do such as attending the Isle of Eight Flags Shrimp Festival on Amelia Island! 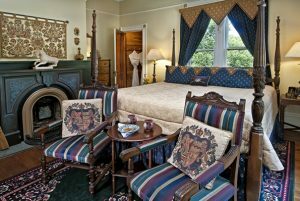 Make one of our rooms, such as The Captain’s Room, your home away from home during your visit! 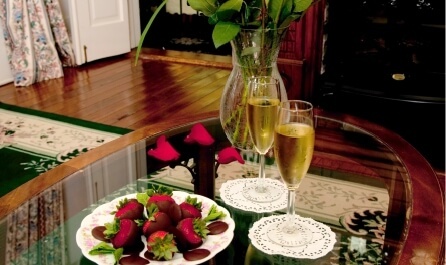 Admire the sophisticated furnishings, eclectic decor, and outstanding service! To top it off, we offer an array of specials and packages so that you can customize the vacation of your dreams!